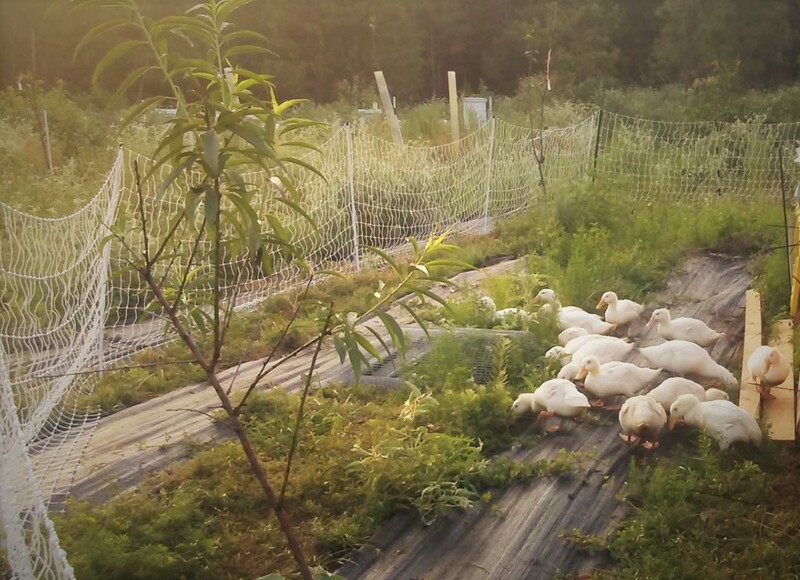 Our duck is pasture raised (pastured duck) and fed on non-GMO and organic feed to supplement their diet. The birds are given regular access to 165ft circumference electro mesh fenced paddock that advances as the duck tractor advances. They are given organic probiotics in their water to help maintain their digestive health. They have never received antibiotics or hormones. When in the brooder that have their feet bathed weekly in apple cider vinegar to help control any issues with their feet. We usually raise Pekings – like the bird in the AFLAC advertisement. These are the most recognized meat duck in the US and thus has the flavor profile our customers are looking for. For availability – contact us to order in the Houston area.